Google correctly called 14 out of 16 of the final matches. 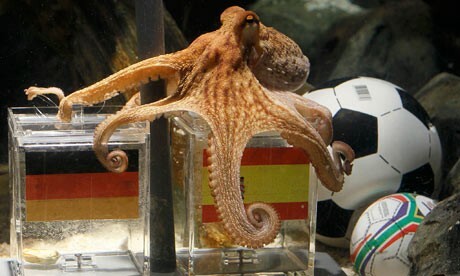 One of the calls missed Germany’s 1–0 victory over France in the quarterfinals. Microsoft crunched numbers from past games and player performances to predict the winning team in 15 of 16 final matches (they erred in thinking Brazil would beat the Netherlands in the consolation game for third place). In recent years, a growing number of math experts have entered the field of sports betting, convinced that data on past results, location of game, weather and various player statistics can give them a unique edge. Once upon a time, someone like Paul Bessire might have gotten a job on Wall Street. Instead he spends his time gambling on sports and sharing his insights on PredictionMachine.com. Holt and other Vegas insiders I spoke with were less impressed with the Google and Microsoft’s successes. “The favorites were coming in left and right. It was just the better team beating the weaker team on paper,” says Raphael Esparza, a veteran handicapper at Doc’s Sports Service. 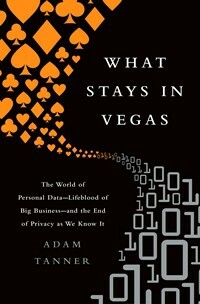 What Stays in Vegas: The World of Personal Data—Lifeblood of Big Business—and the End of Privacy as We Know It, published September 2, 2014 by PublicAffairs. Available for purchase through Amazon, Barnes and Noble, and IndieBound. PublicAffairs is an independent, non-fiction book publisher in New York City.